1. Freshen the FridgeRemove refrigerator odors with ease. Dab lemon juice on a cotton ball or sponge and leave it in the fridge for several hours. Make sure to toss out any malodorous items that might be causing the bad smell. 9. Keep Insects Out of the KitchenYou don’t need insecticides or ant traps to ant-proof your kitchen. Just give it the lemon treatment. First squirt some lemon juice on door thresholds and windowsills. Then squeeze lemon juice into any holes or cracks where the ants are getting in. Finally, scatter small slices of lemon peel around the outdoor entrance. The ants will get the message that they aren’t welcome. Lemons are also effective against roaches and fleas: Simply mix the juice of 4 lemons (along with the rinds) with 1/2 gallon (2 liters) water and wash your floors with it; then watch the fleas and roaches flee. They hate the smell. You’ve been making guacamole all day long for the big party, and you don’t want it to turn brown on top before the guests arrive. The solution: Sprinkle a liberal amount of fresh lemon juice over it and it will stay fresh and green. The flavor of the lemon juice is a natural complement to the avocados in the guacamole. Make the fruit salad hours in advance too. Just squeeze some lemon juice onto the apple slices, and they’ll stay snowy white. You’ve tried countless remedies to banish warts and nothing seems to work. Next time, apply a dab of lemon juice directly to the wart using a cotton swab. 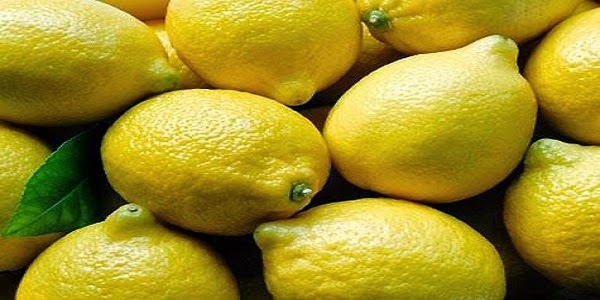 Repeat for several days until the acids in the lemon juice dissolve the wart completely. 37. Bleach Delicate FabricsAvoid additional bleach stains by swapping ordinary household chlorine bleach with lemon juice, which is milder but no less effective. Soak your delicates in a mixture of lemon juice and baking soda for at least half an hour before washing. 45. Reduce Asthma SymptomsIn addition to a general detoxifying diet, 2 tablespoons of lemon juice before each meal, and before retiring can reduce asthma symptoms. About the author: -- John Summerly is nutritionist, herbologist, and homeopathic practitioner. He is a leader in the natural health community and consults athletes, executives and most of all parents of children on the benefits of complementary therapies for health and prevention.